Research shows that office furniture South Houston purchases for most small and medium-sized Texas, US businesses are conducted “part-time” by a person who has other tasks. Meaning that most purchase decisions are by a staff member whose job is not typically ordering office furniture. Still, following a few simple strategies, the items you buy will keep your staff members productive and will last for years. What area or areas am I going to furnish? What kind of office furniture will efficiently meet the requirements for each of these areas? How many staff members will be using the furniture? Do any of the employees need special user equipment in their environment? What furniture dies the business already own? What image should my business portray to visitors and clients? 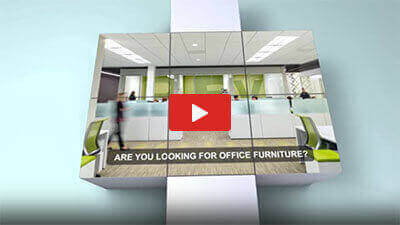 What is the office furniture budget? What are the expansion projections for the business? A desk is much more than a spot to put paperwork – it also can signify status or position in the workspace. However, it is essential to remember both the appearance and functionality when choosing desks for your workspace. Metal framed desks are fashionable because they are lightweight and robust. They are very easy to move around when you want to change the layout of your office space. They can be fitted with a laminate top to enhance their looks. In many circumstances, laminated wood grain tops look just as appealing as real wood but are more cost-effective. You can improve the look of laminated office furniture by adding real timber trimming on the edges. Desks or work tables that are mobile are appropriate for both individual offices and open-plan office conditions. In an individual office, they give the employee the flexibility to arrange the office design in a way that suits them. In an open-plan situation, desks with caster wheels permit the employee to change work arrangements easily. Seats are the most individual piece of office furniture – and the most complicated to buy– because they need to be able to adapt to all types of people and many kinds of work. Even though design and materials are an essential part of the choice, the most important thing you need to consider is how much time the person will spend sitting in the chair and what kind of work they will carry out. Staff who sit up to eight hours per day doing multiple duties need to have seats with ergonomic controls that let the person adjust the chair to suit their body size and work style. Many seats now use reactive ergonomic adjusters that keep a comfortable setting as the worker moves. Staff who use computers in their job need to have armrests to keep their arms in a comfortable position when using the keyboard. The seat’s tilting function should keep the computer screen at a comfortable angle for the staff member, regardless of how much they lean forward or back. Correct storage will help to keep staff organized and ensure the work is flowing proficiently. There are many types of storage system available today. The kind you purchase will be dependent on a few factors, such as office space, how much paper filing your business produces, and your budget. Tower file systems are particularly popular where floor space is limited because they can amalgamate multiple features. Tower file systems with a blend of cupboards, filing drawers, and shelves are the perfect solution for space-deprived offices. Todays’ trend is toward filing systems that utilize space efficiently. Today there are many functional, attractive, and hidden storage systems on the market and they can be inconspicuous in style if you are trying to keep a neat, clean look for your office. On the other hand, if employee’s work demands it, a desk with a built-in filing cabinet may be a better choice. Panel systems dividers are more advanced than they have been in the past, delivering cost-effective, flexible office layout solutions that make the best use of space with a huge array of stylish and functional qualities. Panel systems made today have swinging or sliding doors for privacy and incorporate many different work areas for various configurations. Paneled environments do not need to be rectangular or square. A work surface grouped into a120-degree workstation can decrease workplace intensity while increasing efficiency and preventing a boxed-in appearance and atmosphere. Purchase for panels that are simple to order and install. Ensure you measure your space and allow for some systems that use connectors that add “creep,” causing your measurements to work out incorrectly. Alternatively, if the budget can stretch far enough or have included in the deal with the manufacturer, the installation by the manufacturer may well be a better choice. If you leave the install to the people, who know how to measure up the job for the perfect fit and how it all goes together you will not have any problems. Panel systems have for many years suited computers, printers, and telephones, in the last few years, panel manufacturers have added charging outlets and cable management to aid wireless and mobile products. We have touched on a couple of relevant topics to consider when purchasing office furniture for your office. One thing you can be confident of, though, is that if you have researched all your options regarding office furniture, you will be investing in well-constructed, high-quality items that will perform flawlessly in your office space for many years into the future. Buying office furniture in Texas is a simple matter when you know where to look. One furniture supply company that fits the bill perfectly for office furniture, South Houston is Clear Choice Office Solutions. They can supply new and used office furniture, and they guarantee all their products will give reliable service. To find out more about this supplier, the products, and services that they offer, you can visit their website at https://clearchoiceos.com/.